Snow. Although it is a popular commodity here in Colorado, this fluffy moisture can be more than a handful when dealing with furnace issues in your home. The freezing weather can be hazardous to all occupants, not to mention the integrity of the water and sewage pipes encased within your house. If you’re in need of heating repairs and service in Fort Collins, look no further! Ace Hi Plumbing is your furnace repair and plumbing experts in Northern Colorado. We can help, 24/7, to ensure that your home is comfortable regardless of the weather. Last week, we covered the importance of changing your furnace filter regularly. Today, we’ll investigate a few more tips that can help keep your furnace healthy and your family happy! Your home’s heating system works by circulating air through the house from the furnace. However, if any of your vents or registers are obstructed, the system suffers. When there is a blockage, your HVAC system has to work harder to keep the air moving. This increased strain can lead to rising energy costs and possible furnace failures. In any case, heating repairs are not a pleasant experience (especially during that blizzard!). A good practice to take on is the checking of the thermostat in your home. A common way to test the system is to kick on your heat when the house is cooler to emulate raising the temperature during winter conditions. 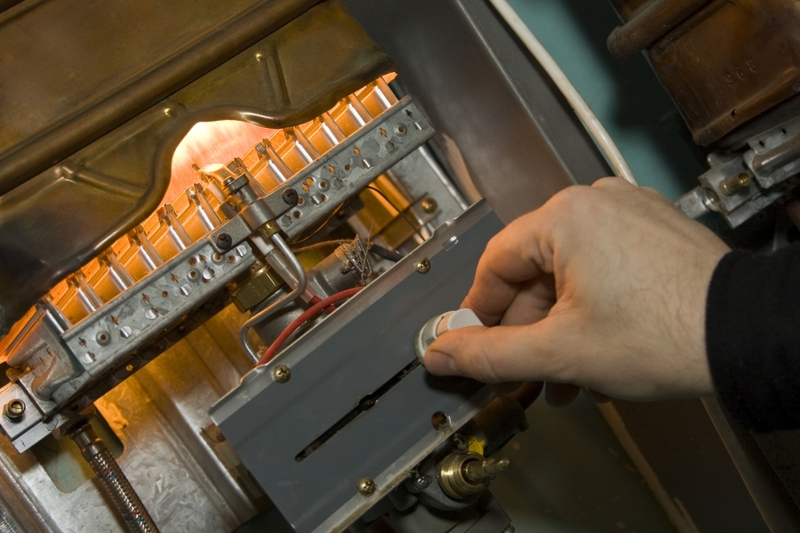 If your furnace fails to bring the correct heat or takes unusually long, there may be an issue. If that’s the case, it’s better to contact a professional technician right away. Remedying the problem now will be more convenient and cheaper than waiting for a bigger problem when the weather’s not cooperating. The act of vacuuming debris and dirt out of your furnace’s components can be very helpful in increasing furnace life and energy efficiency. The blower compartment in your HVAC system can become very dirty throughout the course of a year. Make sure to tidy up this area to keep things running smoothly. Another thing to check and clean is your home’s collection of vents and registers. Over time, dirt and other floor-friendly items end up in the vents. Vacuuming these guys out will lend a hand in better furnace operations as well as reducing the number of pollutants swirling around your home. Along with switching the filter, these simple measures can pay off in dividends in the long run. Regular maintenance is a very valuable practice that can negate the need for costly furnace repairs. If you are unfortunate enough to suffer such an issue, Ace Hi Plumbing is here to help! We offer same-day heating repair and services in Fort Collins and the rest of Northern Colorado. From Loveland to Longmont, we have you covered. Don’t risk being left in the cold this season. Our knowledgeable staff has the solutions to all of your heating and plumbing woes. If you’re in search of a reliable HVAC company, contact us now to see how we can exceed your highest expectations!